Would you like firmer, younger looking skin and a pleasant treatment without side effects? Beauty Institute annevanaken now offers you the revolutionary Venus Freeze Plus: the latest technique from Canada; tightening and contour improvement for the face, throat and body developed by the best engineers. Make an appointment for an intake interview! During the intake we take photos from the area destined to receive the treatment. On that we match the treatment to your skin and, with our optimal guidance; you get the results you were hoping for: firm and young skin. Venus Freeze is a combination of multipolar radiofrequency and magnetic pulses which guarantees not only directly visible results, but also gives long term results. We offer the treatment as a cure. You often see an enormous difference already after the first treatment. You can also use the treatment as a nice refresher and have it done once every 5 weeks. After the treatment you can sunbathe without risk. Venus Freeze treatments are not recommended, among other things, during pregnancy and for pacemaker wearers. The contraindications are discussed with you before a treatment. The procedure is completely safe and has, aside from the CE marking, also a FDA seal of approval. Make an appointment now for tightened and younger looking skin! 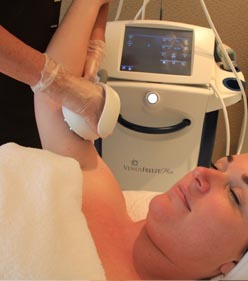 The Venus Freeze Plus gives you firmer skin. 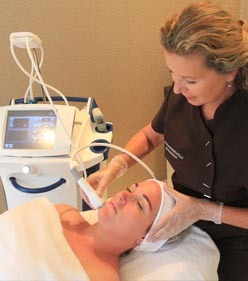 The Venus Freeze Plus gives you younger looking skin. 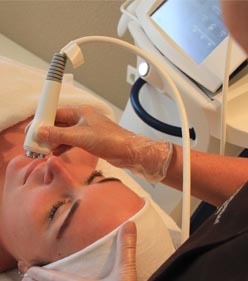 The Venus Freeze Plus improves the contour in the face, throat and body. At a very young age daughter Annemiek van Aken was the right hand of her mother, Anne van Aken. 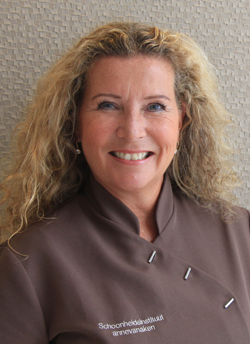 Her passion for beauty and her goal to obtain optimal results for her clients were the main driving factors when Annemiek began a family business. And these driving factors still remain the same after 40 years. Meet Annemiek. 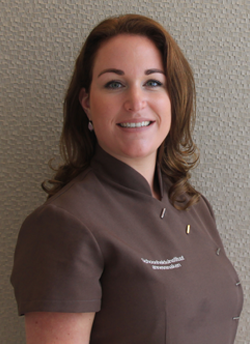 Marieke Vollebregt has worked for more than ten years for annevanaken. She is young, innovative and is able to give free reign to her creativity during the beauty treatments. Together with the client, she seeks true beauty. You can call on Marieke for a beauty treatment. She’s crazy about it herself! Meet Marieke.